It is important to take your time choosing a storage facility that will give you the space and the security that you need to properly store your items. Look for a facility with units that are easily accessible so you can get to your sofa when you need it. You should also look for versatile storage units that are big enough to hold your furniture until you are ready to pick it up. Spend some time cleaning the upholstery with a safe cleaner. Make sure all of the cushions are dry before you attempt to move the furniture to the storage unit. You should also spend some time polishing the wood or metal parts. If you put a clean sofa into the storage unit and store it properly, it will come out in the same condition. 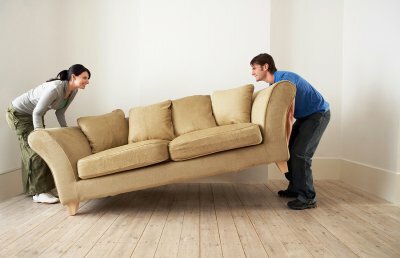 If your sofa has removable legs or other parts that might get lost in transit, you should take them off before you move the sofa. Store them in a bag or a box that you can put with the furniture in the storage unit. If you think that the parts will get damaged in the bag, you can wrap them individually in bubble wrap or packing paper. You should place some pallets down on the floor of the storage unit and cover them with a protective layer of plastic. Put the sofa onto this makeshift platform to ensure that it does not touch the walls or the floor of the unit. You can use a cotton drop cloth or another kind of sheet to cover the sofa and protect it from dust while it is in storage. 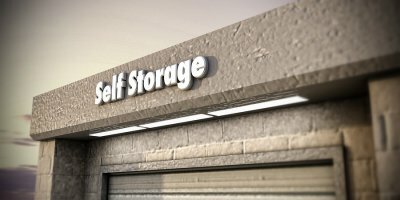 A self-storage facility provides units of all sizes to help you get the right kind of storage for your needs. Before you start the search for a unit, you should decide what you want to store. Once you know how much space you will need, you can talk to the staff at the storage facility about the units that they have available. You might want to opt for a self-storage unit that is a little bigger than you need. This gives you extra space to store more of your belongings in the future. You should choose a unit in a facility that has good security features and an attentive staff so you can be sure your belongings will be in their original condition when you go to pick them up. One of the most important factors of your storage unit search is accessibility. You want to find a facility that makes it easy to get to your unit. You should also look for a company that only has units on the ground level to ensure that you can move your items in and out of your unit with ease. It is also important to find a secure facility where you can store your items. Be sure that any storage facility that you choose has a high security fence and an attentive staff who will protect your items. An automatic gate with an electronic keypad provides optimal security for a facility. Talk to the staff at the storage center to find out what kind of security features they have before you agree to store your belongings with them. When you visit a storage facility, make sure to take a look around the property to see if everything looks clean and orderly. If the staff takes the time to clean the property, it shows you that they care about the image that they project and will do what they can to give you the best service possible. You should also ask to view your unit before you place your belongings inside to ensure that it is clean enough for your needs. Some storage facilities have specific requirements like minimum stays and extra fees that they tack on after you agree to store your belongings with them. Take the time to talk to the staff to make sure your storage facility does not have fees and requirements like this before you sign your contract. If you want your belongings to stay safe and secure while they are stored in a storage facility in Capitola, you will need to pack them properly. Watch this video clip if you would like to learn about the process of taping boxes for storage. Storage boxes are a must when it comes to moving to a new home or keeping some of your belongings in a storage unit rental. 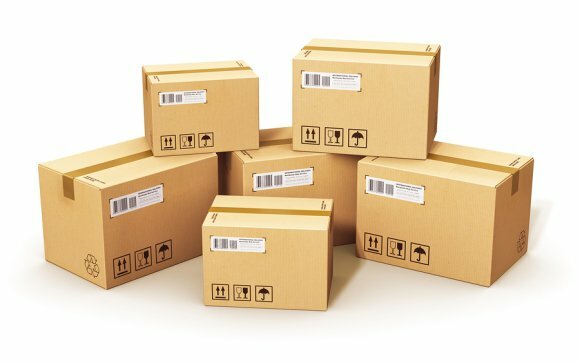 It is important to fill your boxes to the top in order to keep your items safe and prevent boxes from crushing each other or caving in over time. Start by folding the smaller bottom flaps in and then the larger flaps over them, then tape the large seam that is created. After that, tape the two smaller seams closed and repeat the process on the top of the box. For heavier loads, add reinforcement tape in an “X” shape across the top and bottom.